Dance education offers many opportunities for students to explore movement and rhythm physically, while also gaining valuable cardio-vascular exercise. But learning through dance provides benefits that surpass strengthening muscles and improving one’s heart beat. As BAC’s Dance Teaching Artists know, the art form can build a range of cognitive abilities and socio-emotional skills. For example, pre-K students at PS 29 in Brooklyn, who studied dance foundations with Teaching Artist Asma Feyijinmi, practiced moving from high to low and in different directions. These exercises helped them develop their spatial awareness while also increasing their sense of self-control, which is important for any four-year-old. 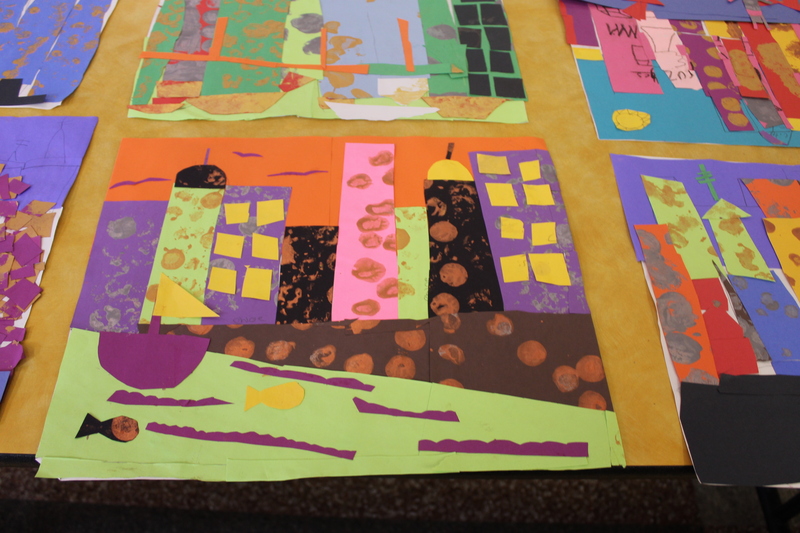 This past summer, second and fourth grade students at PS 217 in Brooklyn participated in BAC theater and visual arts residencies investigating the theme “Exploring New York City”. These residencies, supported through a long-established partnership with Flatbush Development Corporation (FDC), allowed students to bring their home town to life in fresh and personally-relevant ways. Over the course 8 sessions, teaching artist Valerie Hager led students in creating an original performance piece which depicted life and landmarks in the students’ native city. “What is it you want other people to know about New York?” This question guided and grounded the fourth graders’ show plotline, which ultimately highlighted the various occupations and daily routines of New Yorkers. 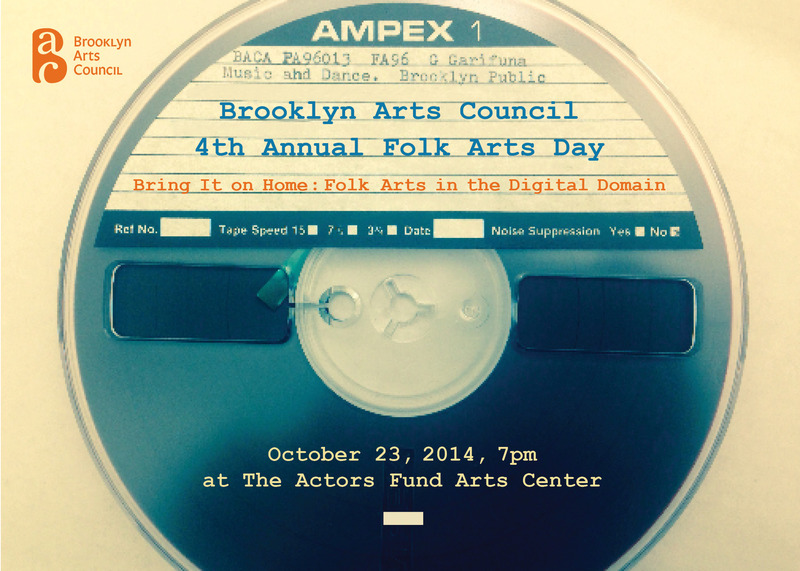 On Thursday, October 23 at 7pm, the Brooklyn Arts Council will celebrate the 4th annual Brooklyn Folk Arts Day. 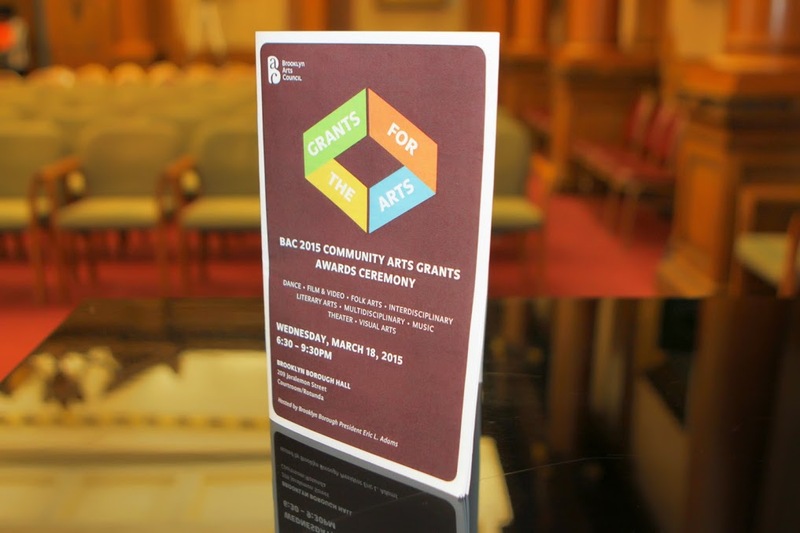 This year, BAC’s Folk Arts program will present a gathering of traditional arts leaders for “Bring it on Home: Folk Arts in the Digital Domain” at the Actors Fund Arts Center. Through a discussion led by scholars, archivists, and traditional cultural specialists, “Bring it on Home” will host an important cultural conversation about the importance of giving communities access to and use of their own cultural heritage materials—such as audio, video, and photographic records of music, dance, and other cultural traditions—for the benefit of future generations. This gathering of folk and traditional arts communities will explore the importance of sharing digital materials that document traditions of diverse communities with members of the same communities, and when culturally relevant, with the general public.